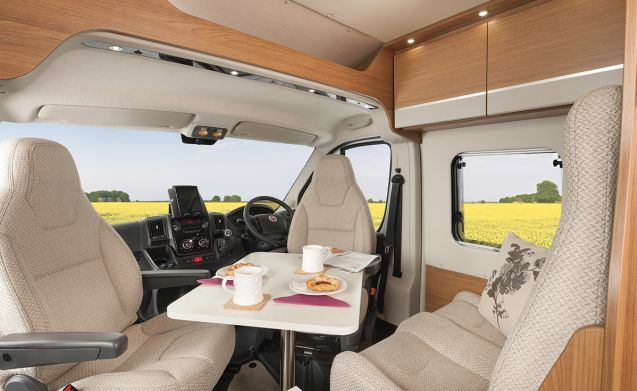 This 2019 newly registered compact campervan is deceptively roomy at around 6 metres long and comes with 4 belted seats and 4 sleeping spaces. It’s ideal for a family or for a group of friends. 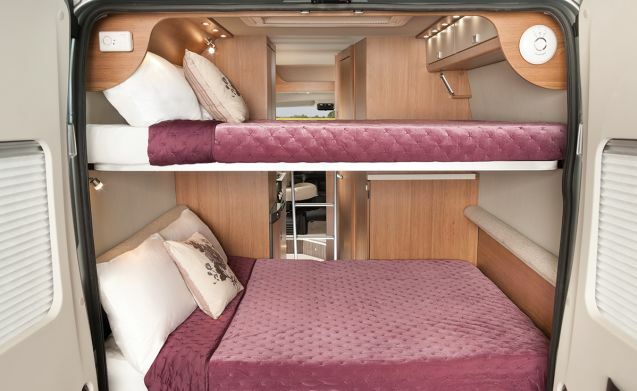 You’ll sleep in really comfortable double bunk beds in the rear of the van (the upper bunk can be removed if only 2 people using the campervan). 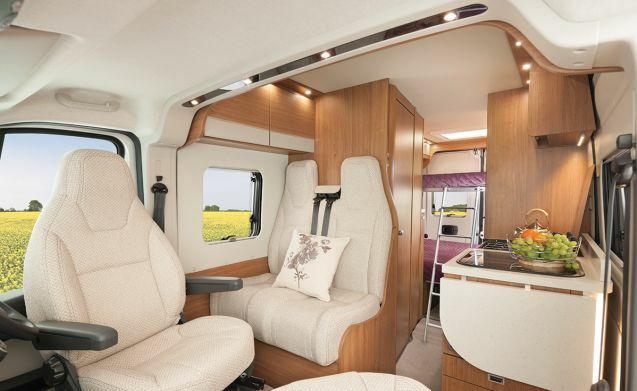 At the front is a seating and dining area with space for all 4 passengers once the front seats have been swivelled to face the rear. 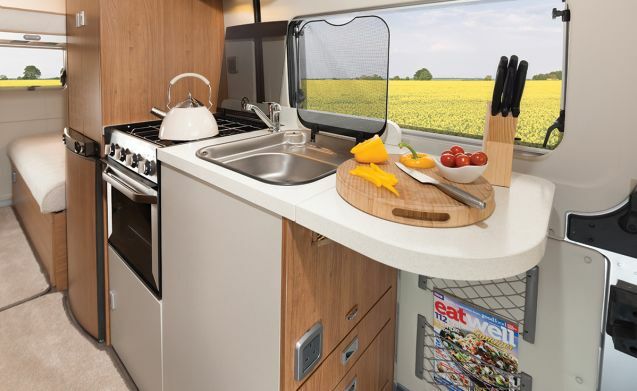 In the kitchen you’ll find a stove, sink, fridge and oven and all the crockery, cutlery, cookware and glassware you will need. 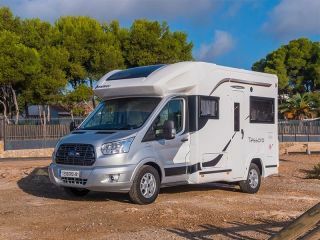 You will also find a TV/DVD player, cab air conditioning, dual-fuel central heating, wind-out awning, outdoor chairs and a table. 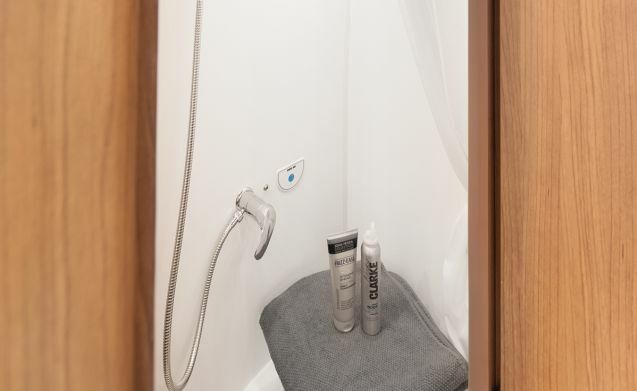 The bathroom makes great use of limited space with a shower, flush toilet and hand-basin. 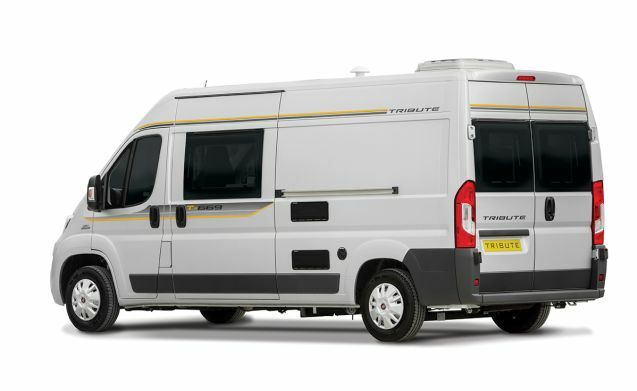 The Tribute 669 is built with a powerful Fiat Ducato diesel engine with 6-speed manual transmission and cruise control. Everybody who rents this van says what a delight it is to drive. The vehicle comes with a full tank of petrol, a full gas cylinder, fully comprehensive insurance for 1 driver and unlimited mileage. 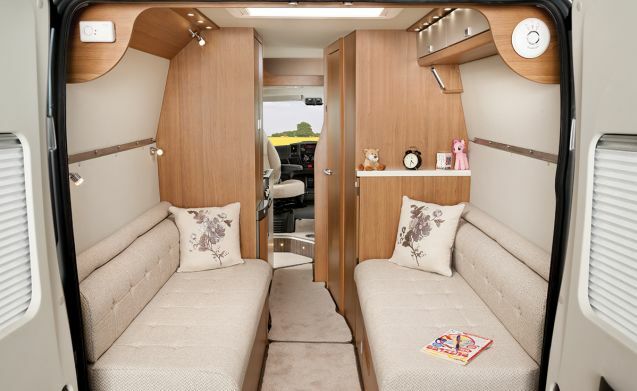 For your safety, the motorhome is fitted with smoke and gas alarms, fire extinguisher and first aid kit. We can provide airport, ferry terminal and rail station pick-up. Our driver insurance covers driving in the UK and is included in our daily hire rates. 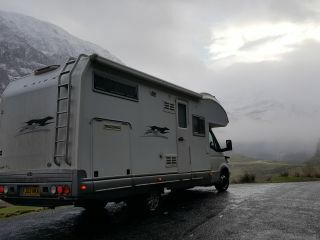 We also allow vehicles to be taken to Europe for only £10 extra per day. Pricing will be updated accordingly on request.